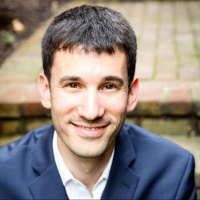 David Horowitz is co-founder and CEO of Retrium. Retrium is the world’s first and only enterprise-ready platform for Agile retrospectives. Prior to co-founding Retrium, David spent nearly a decade between The World Bank and International Finance Corporation as a software developer turned Agile coach. While there, he experienced firsthand the importance — and difficulty — of effective retrospectives at scale. How to facilitate remote retrospectives as remote instead of modeling them after in-person ones.